Whether you’re working at a swanky restaurant or performing hard labor, the right shoes are key. If you’re one of the millions of guys that spend their day standing on their feet, a good pair of shoes will prevent you from experiencing a number of foot and back issues. In addition to taking the right safety precautions, specially designed shoes will ensure that you don’t end up with irreparable damage that could affect the rest of your life. Wearing improper shoes will lead to painful sores, cramps, and a variety of unattractive and unfavorable foot conditions. Not only that, but damage to your feet will turn into bad posture and a host of back and leg issues. Discomfort and pain will also potentially affect your work performance. To ensure that none of those issues occur, it’s important to take time and consideration when choosing the proper footwear for a long day of work. Here are some of the best shoes to wear for standing on your feet all day. If you’re working in a more formal environment, a variety of stylish shoes are available. They look like normal shoes on the outside but have a number of safety and comfort precautions to make your work day better. Designed with style and comfort in mind, the Dansko Wyatt loafer is perfect for guys that don’t want to sacrifice their personal style. With a full grain leather upper, the shoes have a sophisticated appeal. Inside, the shoes are lined with comfortable fabric that is anti-microbial and prevents odor. The insole is made from dense EVA. It provides great support to maximize comfort. It’s also removable for cleaning and replacement. The midsole absorbs shock and prevents your feet from abrasion, allowing you to move fast and comfortably. If an oxford is more your style, this option from Rockport provides all-day comfort. The shoe is wrapped in leather and suede. The materials will form to the shape of your foot over time and provide a custom fit. That being said, the material is also rugged and easy to clean. Inside, the sole is made from EVA topped with a thick suspension foam. It keeps the foot snug and comfortable regardless of activity level. The durable outsoles also absorb shock and prevent discomfort. This slip-on is a great option for guys on the go. The dual vamp goring makes it easy to put on or throw off at a moment’s notice. However, the leather lining provides a snug fit. The lining is breathable to increase air circulation. A comfortable fiber footbed also aids in keeping the feet dry and odor free. The polyurethane outsole is durable enough for continued use. It also improves traction, stability, and foot support. The detailed stitching and materials make the shoes a dapper option. Perfect for guys that work in variable environments, the Leverage slip-on shoes from Hush Puppies are carefully crafted to keep water out. The uppers are made from waterproof leather and constructed with waterproof seams. The lining inside keeps your feet dry while the padded collar and instep prevent ankle injuries from abrasive rubbing. The footbed is made from contoured EVA for added cushion and impact absorption. A gel heel and ABS shank add even more support throughout the day. Another option from Rockport, the World Tour Classic Walking shoes provide excellent support for guys with a job that requires a lot of walking. The footbed is made from EVA. It has a unique design that is specially made for support. The tongue and collar are also padded to ensure that the ankles and top of the feet are comfortable with every step. The exterior of the shoe is made from either leather or nubuck and features a lace-up design for a custom fit. These walking shoes are made from premium materials for a perfect fit and increased comfort. 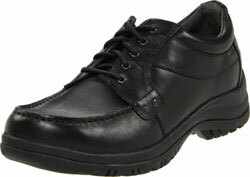 Like the previous Rockport option, these shoes have a carefully designed footbed and heel. However, this footbed is made from a comfortable latex foam that is easily removed. The shoes are also lined with mesh to wick away moisture. The outsoles are designed to support your foot through it’s natural walking motions without limiting flexibility in the front of the foot. These shoes from Skechers are a simple, yet sophisticated option. 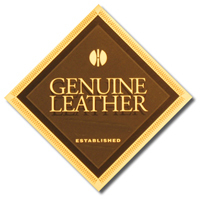 The leather exterior is versatile enough for a variety of different applications. The slip-on design is simple, yet effective. A padded collar makes the shoes comfortable for prolonged wear. A memory foam footbed ensures that the feet have support. The soles are made from rubber and incorporate a slip-resistant tread, making it a perfect option for men working in the restaurant business. Similar in design to the previous shoes from Skechers, the Cottonwood Elk shoes are simple and muted. However, they feature important comfort qualities to make a day on your feet more enjoyable. The upper is made from Napa leather and has a lace closure for a snug fit. It also has detailed stitching for a more formal look. The footbed is made from memory foam for increased comfort and shock absorption. Wrapped in soft tumbled leather, these shoes from Clarks have a unique look and a number of comfort features. A cushioned collar keeps the ankles safe from harm. The inside has a molded polyurethane footbed. The dense material provides cushion and support. The footbed along with the ventilated outsoles circulate air throughout the shoe and around the foot to keep it dry and fresh. The thick outsole also helps with traction and stability for a long day of work. Crocs are known for their comfort, and this stylish work shoe is no different. Made with a mixture of natural and synthetic materials, the shoes are carefully designed and constructed to be soft, light, and comfortable. The outer shoe is made from oiled leather while the inside is wrapped in a soft poly fleece liner. The footbed is made from a special Croslite material. This material provides great support and impact absorption. The bottom of the shoe is also designed to improve traction on slippery surfaces. Another unique option from Crocs is the Santa Cruz 2. 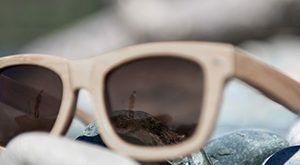 The uppers are made from stylish canvas that comes in a variety of colors. Raised stitching gives the shoes their signature loafer style. The footbed is also made from the Croslite material to provide a comfortable bounce and cushion. On top of the Croslite material is an additional layer of memory foam for further comfort. They’re also lined with a soft and smooth material. If you spend the day constantly moving, sneakers may be a better option. Because they’re designed for athletes, sneakers have a bevy of comfortable features that are great for any active man. Made for constant activity, these shoes from New Balance have a variety of great support features. The insole is made from a special ABZORB material. It decreases the force of impact while improving your stability. A rollbar is included in the heel of the shoe to prevent heel movement as you walk, improving your posture and steadiness. The upper is crafted from a combination of leather and mesh. This ensures that the shoes are durable and resilient despite repeated and prolonged use. From the leading athletic shoe manufacturer comes the Skech Air Game Changers. These shoes have a refined and sporty look. They come in a number of different colors to suit your style. The uppers are made from a breathable mesh to increase air circulation. The outsoles also have ventilation holes for even more comfort. Inside the shoes is a gel memory foam footbed. This keeps the feet comfortable and helps avoid problems commonly associated with running and prolonged walking. These shoes are made entirely out of synthetic materials and incorporated important comfort features throughout. On the outer shoe, double-layered mesh is used for ventilation. The heel counter is made from thermoplastic polyurethane. It keeps the heel steady and secure without adding a lot of weight and bulk. The midsole extends the entire shoe to provide cushion throughout the feet. The outsole has a waffle design to increase flexibility with every step. 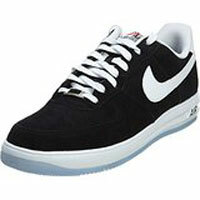 Stylish and designed for activity, the Lunar Force basketball shoes from Nike have it all. The outside is wrapped in premium leather. Perforations on the side and top of the shoes move air around, keeping your feet cool. A premium cushion inside the shoe provides great bounce back and support. There’s also an air-sole built into the heel. This absorbs the shock of an impact, ensuring that the heel and foot stay comfortable even with rigorous activity. It’s available is a range of colors and designs. These walking those from Saucony improve your stability as you walk. The base of the shoe is wider than a typical walking shoe. This prevents foot movement from side to side as you walk, ultimately improving your posture and comfort. The ProGrid midsole is cushioned and actually improves the movement of the foot as you walk. It keeps the foot centered as the heel strikes. The upper is made from high-quality leather and has detailed stitching and metallic accents. When searching for the right pair of shoes, there are a number of things to consider. Of course, comfort and support are important. However, other factors like the environment you’ll be in and your specific needs should also factor into your decision. With the right information, choosing the perfect pair of shoes will be a walk in the park. Materials play a big role in both comfort and usability. You should consider your working environment prior to choosing a material as some materials are better suited for different types of environment. Leather is a great choice for guys working indoors. It’s a reliable material that can last for many years if properly taken care of. In most cases, leather is the most comfortable option. 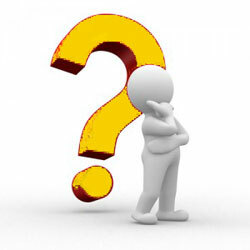 Depending on the design, leather shoes tend to conform to the foot better and provide great air circulation. Synthetic materials are another great option, especially for those who are working is grittier environments. They are easy to clean with a bit of soap and water. Comfort wise, many manufacturers use special synthetic materials that mimic the feeling of natural materials. Not only that, but synthetic plastics can be molded and contoured for a better fit. Support in the arches is crucial when you are spending prolonged periods of time on your feet. Without arch support, the impact of every step you take will place a lot of tension in the heels and front of the foot. This will make your feet feel fatigued much faster. Not only that, but you’ll feel the effects of your day long after you’ve gotten off your feet. Inadequate arch support will also lead to lifelong issues, such as flat feet and back pain. Padding will obviously improve your comfort throughout the day. However, it’s important to consider the type of cushioning a shoe has. Memory foam and gel padding will absorb impact better than a thinner option. Another thing to consider is the amount of padding a shoe has. While more cushioning may seem like a good idea, it can actually constrict the foot and lead to more discomfort. It’s important to know how your feet act and move as you walk. Certain characteristics can render comfort features useless. Choosing a pair of shoes based on your own feet will ensure that you get a perfect option. 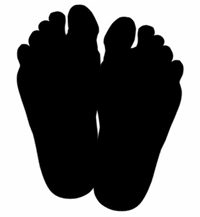 If you have flat feet, you may want to go with shoes that have a higher arch. Additionally, certain shoes are designed to improve the motion of the foot as you walk. While it may feel weird at first, this will improve comfort and stability in the long run.